I saw that beautiful Antwerp train station in an episode of "Tatort" (German TV show) recently. This is what I was set up to shoot, when the Utah Railways local spoiled the view! And like 5000 Union Pacific locomotives! Gorgeous view (the unspoiled one) with the State House and the mountains in the background, Kelly! Thank you very much, Harald! I've always heard of this little forgotten RR, The Niles Canyon RR around here in the Bay Area. I never paid much attention. "The Niles Canyon Railway is the only railroad that runs on the original and best preserved alignment of the Transcontinental Railroad, now listed on the National Register of Historic Places". That's what you call in the US a small discrete little engine, i assume. It's a beautiful steamer, i'd love to have a ride with this one, through lots of tunnels to inhale the nice clean steam (to receive an overdose). [it's not spring yet and i'm already longing for the summer festivities in the benelux around steam trains - there are such bad fella's on dyxum you cannot believe it - but do keep posting - there's nothing nicer than a (steam)lok in a beautiful scenery...]! Just returned from 3 days in Ely Nevada and the Nevada Northern Railroad. Captured many nice photos. Haven't really had time to examine them all closely and do a little editing, but thought I should post one for starters. Engine 93 passing through a stand of trees behind the railroad yard. It was snowing, 17 Feb. 2019. Kelly: So pretty, I wander how do you find them? It is amazing that they still work. You're all driving me nuts (or is it the fact i'm not succeeding in ordering a flight to Italy in April)? The steam is now comming out of my ears (but your postings look a lot nicer than that). 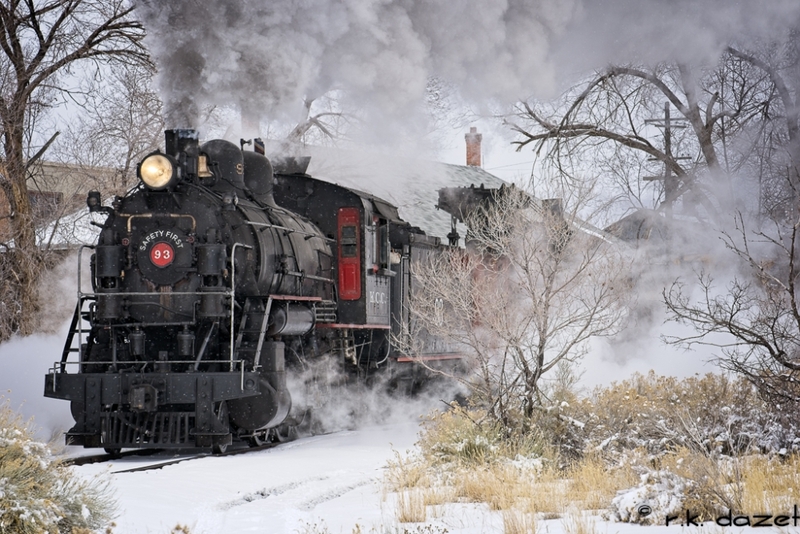 svjetlana, this was a 3 day "Winter Steam Photo Shoot", charter with the Nevada Northern Rail Road. 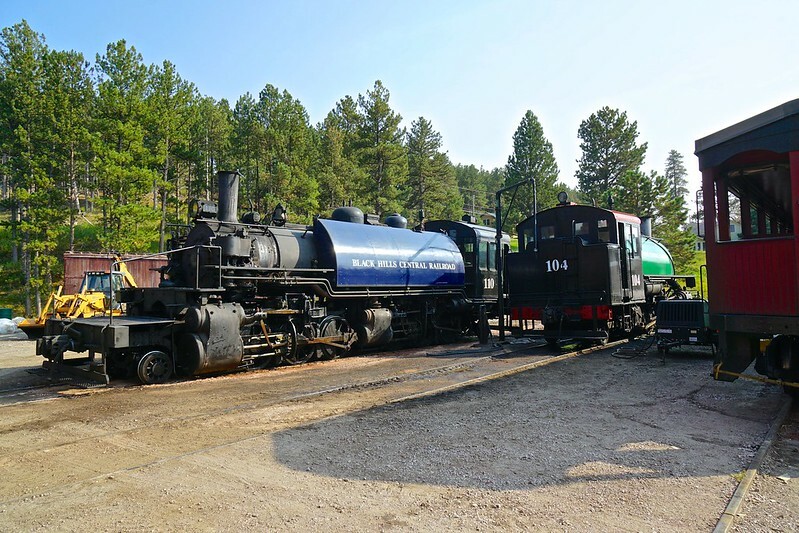 They have two operating steam engines with a third one currently being restored. In other words, all the photos from this shoot were staged for the participants. It was a wonderful experience and a lot of fun, but it was very cold and it was snowing on and off. There are no active railroads that use steam in regular service here in the USA -- only tourist railroads and special excursions or charters. The Union Pacific railroad is the only mainline railroad that has operating steam engines, which it uses occasionally on special excursions for public relations purposes. BTW, its a bit difficult to see because of the trees, smoke and steam, but #93 is pulling a steam powered wrecking crane, which is fully operational.